Have 5 minutes? Help a Kid Learn to Read! 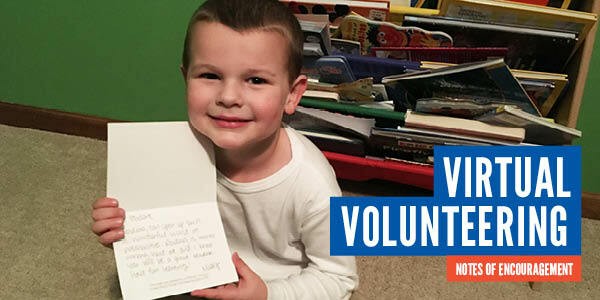 March is Virtual Volunteering Month at United Way. Volunteer from your desk, your couch, anywhere! Have 5 minutes? Write a Note of Encouragement to new readers at Boys & Girls Club. 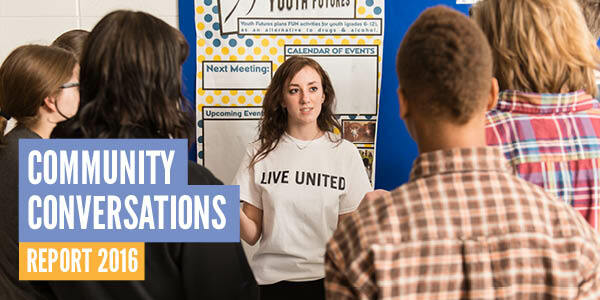 "Who better to inform our work than the children, teens, and adults who live in our area and experience their lives first-hand every day?” asks Nicole Angresano, VP of Community Impact at United Way, "It’s critical for us, if we are going to be a forward-moving, responsive, innovative United Way, that we really listen to the community we’re here to serve." Read the full 2016 Community Conversations report here. "Reading is the most important foundational skill, period." Celebrate National Reading Month by being a good influence on the kids in your life: "Read anything and everything to them, and talk to your kids non-stop," says Pat Marcus, Director of Program Development: Early Childhood Education at Boys & Girls Clubs of Greater Milwaukee, on the advice she gives to parents, "Kids are natural copy-cats; if you’re reading, they will want to be able to read. The opposite is also true: if a kid has never seen someone read or been read to, they will not even know how to hold a book. For aunts and uncles, send emails, texts, or postcards through the mail. If something comes through the mail for a kid, they will want to read it." Help a kid learn to read! 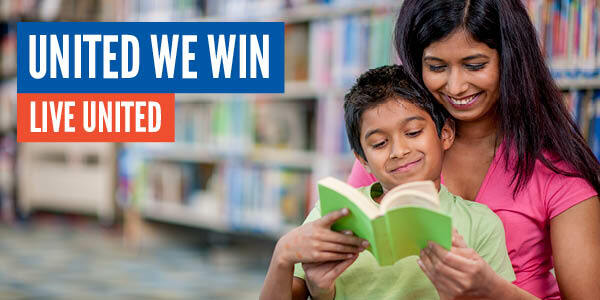 Sign up to be a Reading Buddy, help students pick out books at My Very Own Library, or host a book drive for United Way agencies with your family or work group. Contact Lori Hayes at lhayes@unitedwaygmwc.org for more information. Looking for a new book? Check out United Way staff’s favorites. The Emerging Leaders Philanthropic 5 Awards, sponsored by BMO Harris Bank, recognize five community leaders in their 20s, 30s, and 40s and one youth community leader that have made extraordinary commitments of leadership, volunteerism, mentoring, and philanthropy. Award winners are recognized at the annual P5 Awards event, which will be held on June 8, 2017, 5:30pm at The Atrium. 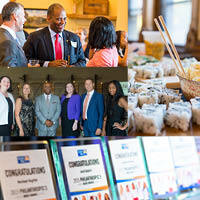 Nominate an outstanding community leader by March 20! 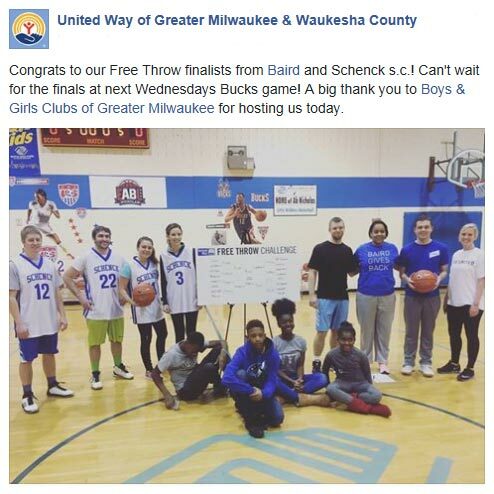 Sixteen teams from workplaces that run great United Way campaigns competed in the Bucks Free Throw Contest prelims on February 3 at the Pieper-Hillside Boys & Girls Club. Nearly two dozen local homeless shelters are in need of health and hygiene products, like toothbrushes, toothpaste, soap, razors, alcohol-free mouthwash, feminine hygiene products, hair care, and baby products. Drop off new items at United Way, 225 W. Vine St., Milwaukee. United Way LINC is teaming up with one of our amazing partner agencies to impact the lives of area youth. Join us at the Boys & Girls Club Adult Prom on April 8 at the University Club for fun and philanthropy. A free seminar available to partner agency clients looking to develop basic financial skills including managing a family budget, strategies on how to save, and how to avoid ongoing debt. Volunteers are needed to serve as budget coaches and to help facilitate education sessions. Join the thousands of people across the world who wear jeans to bring awareness to sexual violence and help end victim blaming on Denim Day. Follow Denim Day Milwaukee on Facebook to find out how you can get involved. Join United Way and students from elementary schools for a fun day of outdoor activities focused on healthy living, building self-confidence and working as a team. Volunteers will help students through a variety of stations and activities. Register to volunteer at one or both field days. Was this forwarded to you by a friend? Subscribe to the newsletter. Copyright © 2017 | United Way of Greater Milwaukee & Waukesha County | All rights reserved.